ÅBS Grafopack laminate is graphite reinforced with AISI 316 stainless steel. It has very high stability against pressure and heat. Seals effectively against gases and liquids at low flange pressures. Good sealing ability even in uneven and scratched flanges. Withstands temperature changes very well. Used at high and low temperatures, highly corrosive and aggressive media. Gives excellent glass and molten metal. Belpagraf Compac is a high quality pack. Enhanced with AISI 316 stainless steel. It has excellent resistance to vapor and oxidation, high thermal stability. 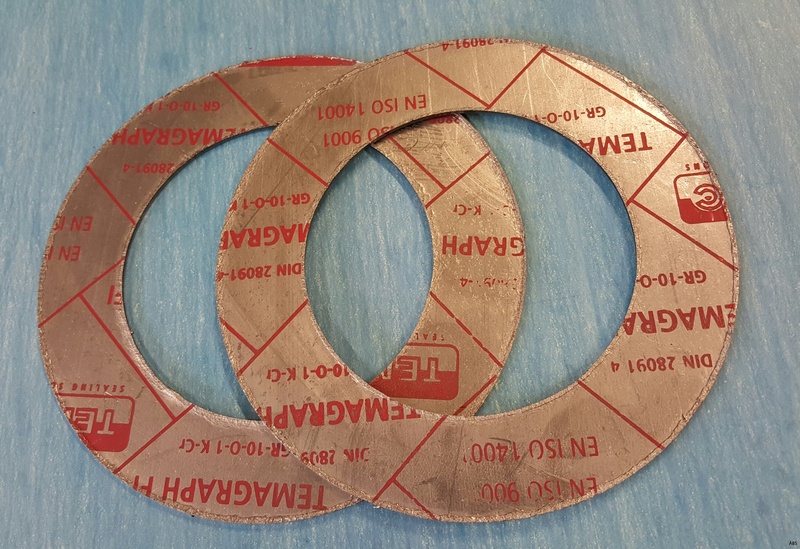 Can also be used in place of Spiral-sealed gasket. Withstand temperature up to 600 degrees C.